To listen to Rep. Joe Barton (R-TX), you’d think adapting to global warming is as easy as taking off your jacket on an unexpectedly pleasant spring day. “Adapting is a common, natural way for people to … to adapt to their environment,” Barton continued, briefly channeling Austin Powers. “When it rains, we find shelter. When it’s hot, we get in the shade. When it’s cold, we find a warm place to stay.” What does Miami (6 feet above sea level) do if sea levels rise 6.5 feet as new models suggest is possible? 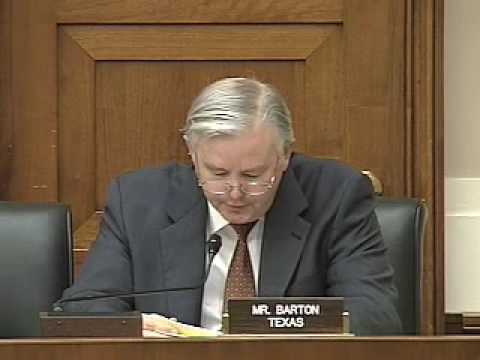 Rep. Barton doesn’t say. My favorite part of Barton’s ramble: His wondrous musings about how people in England grew grapes! Way back when in the Middle Ages during a dubious “warm period” global warming deniers like to trot out. Ah, those were the days. I like to sit back and think about what it must’ve been like while drinking a nice glass of English Seyval Blanc. Rep. Barton’s final head-scratcher comes when he claims, “Nature doesn’t seem to adjust to people as much as people adjust to nature.” Tell that to the dodo. To learn more about why it’s so critical that we seriously consider how to adapt to the impacts of climate change we’re already seeing, read this post on NWF President & CEO Larry Schweiger’s testimony at the same hearing.